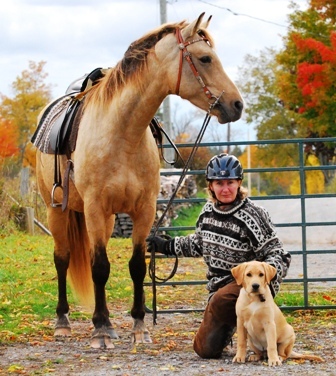 With over 19 years of experience Colleen is Canada 's leading gaited horse trainer. Training begins when the horse is born. Foals are handled daily while their mothers are being fed. They are taught to lead and pick their feet up from an early age. 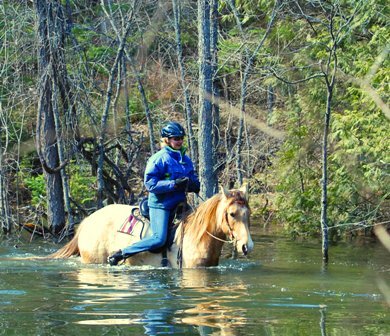 We don’t find it necessary to spend a lot of time in enclosed areas teaching the horse under saddle. Once they know how to turn and stop we head out on the trails. 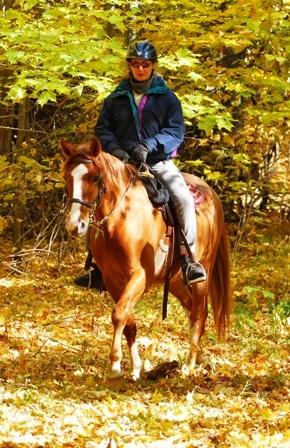 We have access to over 1000 acres of trails and miles of country roads. We go through fields, woods, water and down the roads past cars, cows, dogs and we have been known to see quail, fox, coyotes and the occasional bear. Our terrain helps to build strong minds and bodies. 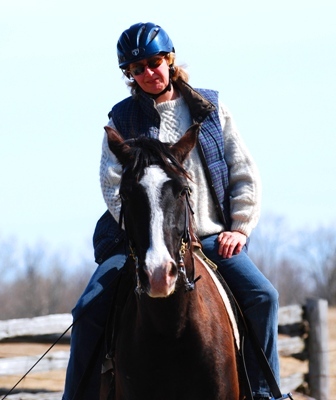 Our gait training is done with the mildest equipment we can use, often with a snaffle bit or hackamore. 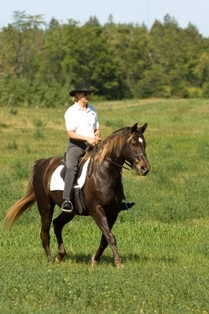 We aim to provide a well-gaited horse through strength and balance. We have had over 150 babies born at the farm in the past fifteen years and have started over half of those under saddle. Many that we have started are the mothers, fathers, sisters and brothers of those that we have for sale, so we can often offer references from previous purchasers and videos of members of the family of any horse that you might be interested in. Having the experience of working with family groups of my horses helps us to match a prospective buyer with an appropriate riding horse. We can confidently predict size and temperament of a young horse to make sure it will be suitable for it's new owner. We recommend everyone that buys a horse from here come and ride with Colleen for a weekend in order to get used to one another. 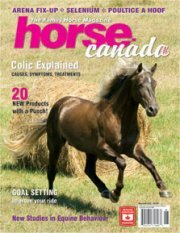 We can give pointers on what to do to achieve the best gait, tack recommendations and get the you up to date on the horse's feeding, worming, vaccination and farrier schedule. Copyright 2009 / 2010 © Webpal. All Rights Reserved. Designed by Webpal.